Perfect Holiday Home for family or friends in 4 en-suite rooms and 1 room for small children. 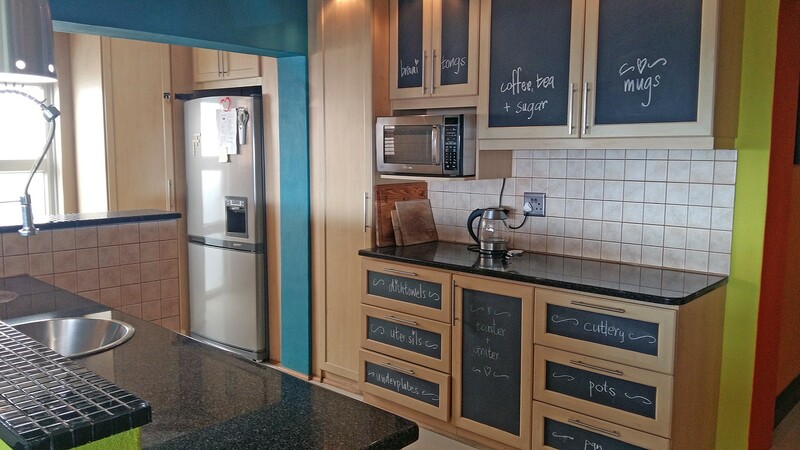 Self-catering fully-equipped option with free wifi, dstv, indoor braai, outdoor pool, private, secure and private. Close to shopping area, and about 4km to the beach. Central to beautiful coastal towns and about 25 minutes to Cape Town Airport and 40km to Cape Town. 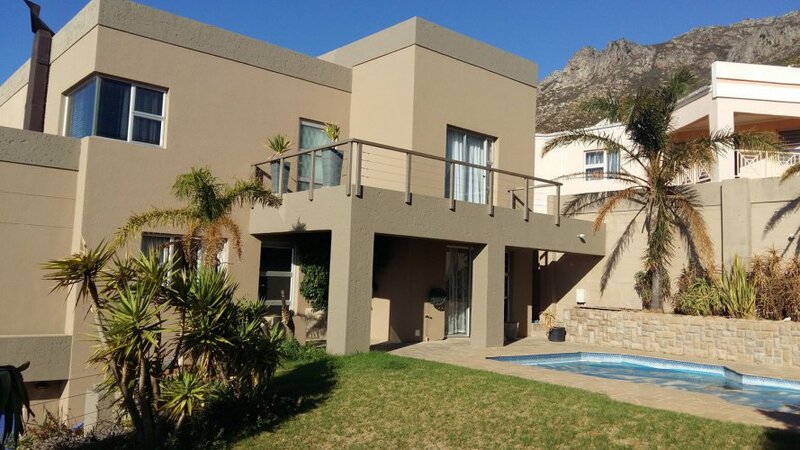 Gordon’s Bay Villa is a non-smoking establishment, set on the side of the mountain overlooking Gordon’s Bay below and a view of the sea to the left and the majestic mountains to the right. Gordon’s Bay is a beautiful small tourist town with 2 harbours, local restaurants & bars, blue flag beaches and only 15 minutes away to some of the oldest and most famous wine estates in the Western Cape. 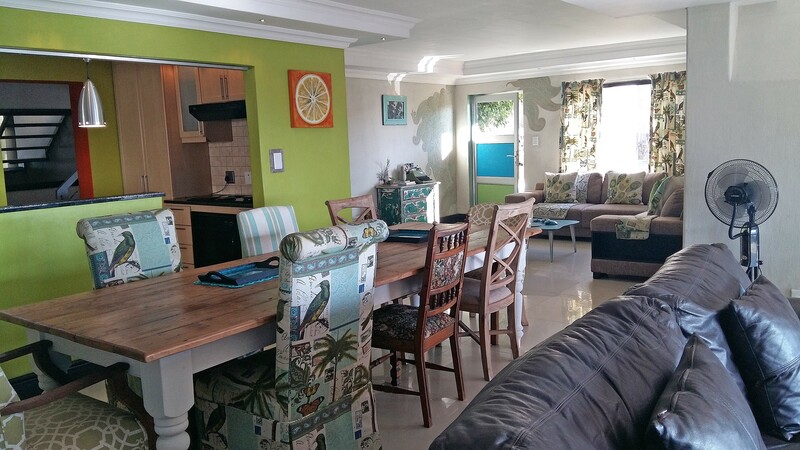 A minimum stay of 3 days is required during the year and a 14 day booking is required in the December holidays. Unfortunately no parties are allowed at the Villa. 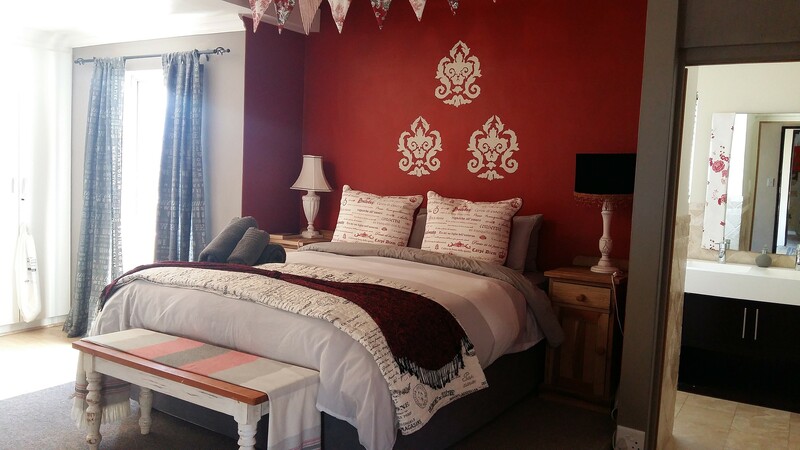 Gordon’s Bay Villa can accommodate up to 12 guests in 4 en-suite bedrooms, and a small children’s bedroom with 4 single beds downstairs. 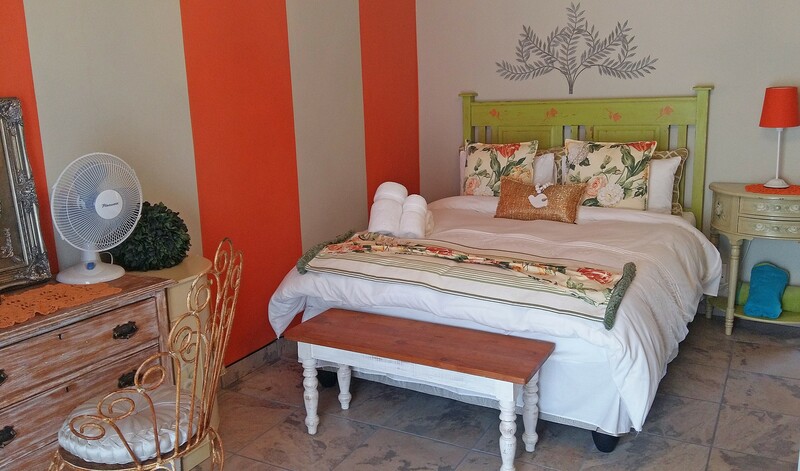 The main bedroom is fitted with king size bed and the remainder 3 bedrooms are fitted with queen size beds. A safe is also available for valuables in the Main Bedroom. Room 5 2 Bunk Beds with 4 single mattresses for children. The villa consists of a large entertainment area with an open plan kitchen which leads out onto the terrace and the pool area. 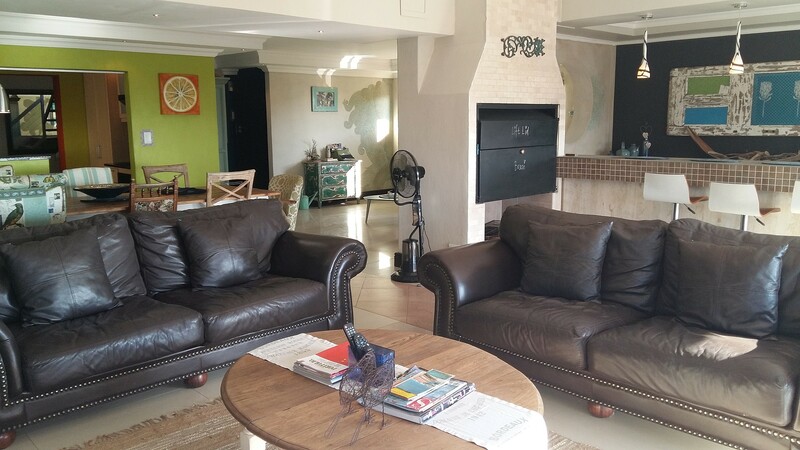 There is uncapped WiFi and the living room has an indoor braai which can also be used as a fireplace in winter. Large TV in the Lounge with full Explora DSTV and solar screens in front of the windows. Excellent security with beams and a lock-up garage and electric gate and garage door. Apartment is serviced twice a week.